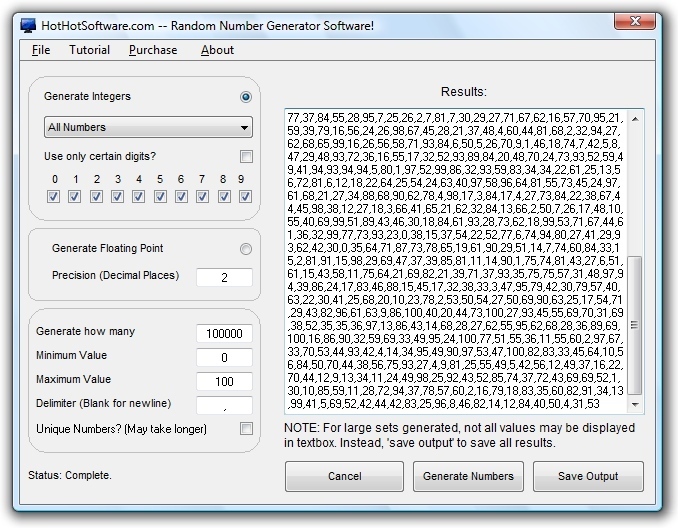 Purchase "Random Number Generator to create random number sequences software, random integers and random floating point numbers" by FAX/Phone/Cheque/Mail or Securely Online! Only $29.95 U.S. (Regular $49.95 US!) for a limited time! Please fill in the information below, and click on the 'purchase' button to proceed. Coupon/Where did you hear about us? 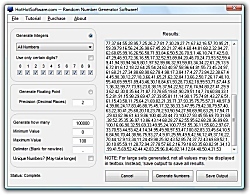 Click here for a complete listing of other software products that you can purchase.